In another article, I told you about Chris’ dilemma with his poor credit score in trying to get traditional bank financing. Had some inquiries from that article asking what a credit score is and what steps can be taken to improve a credit score. This may not seem related to cash flow, but if you can not borrow money for your business because of your personal credit, then your business will not survive. This once secret process of credit scoring is now made available to us and that makes it easier to improve your credit. For those of you that have not been exposed to credit scores, they are three digit numbers that are used by lenders when evaluating your creditworthiness. Other companies, such as, insurance companies, employers, and landlords use these scores in evaluating credit applications. There are three credit scoring companies: Equifax, Experian, and TransUnion. The information reported to them by your creditors goes into the calculation of your score. The scores these companies provide to interested parties range from 300 to 850. Understand, the higher the score the better credit risk you are. To give you an idea how Americans rate, only about 11% rank above 800; 29% rank between 750 and 799; 44% rank between 620 and 749; and 16% rank below 620. Below 620 indicates you have a serious, negative credit history, and obtaining financing with reasonable terms will be difficult. Now that you have decided to review and or improve your credit score, how do you do that? The first step is to obtain your credit reports from the three credit bureaus. One way to obtain these reports is to purchase them from www.myfico.com. When you receive your reports, instruct the bureaus to remove any incorrect information. Once you correct the information, start the process of improving your score. 1. You should pay your bills on time. Payment history is the most important factor in determining your credit score. This accounts for 35% of your total score. Even just making those minimum payments will maximize this area. Understand delinquent payments will destroy your credit score. Missing just one payment can cost you up to 100 points. 2. You should pay down your debts and charge less. Lenders consider and like to see a large difference between the amounts of debt reported on your credit cards and your total credit limits. The larger the gap between these numbers the higher your credit score. 3. You should not close old, paid off accounts. Based upon the calculation of your credit score, closing accounts can never help your score, but often times it will hurt your score. I know that dealing with your credit score is not something you are looking forward to. However, if you need to improve your cash flow, you must improve your credit scores. 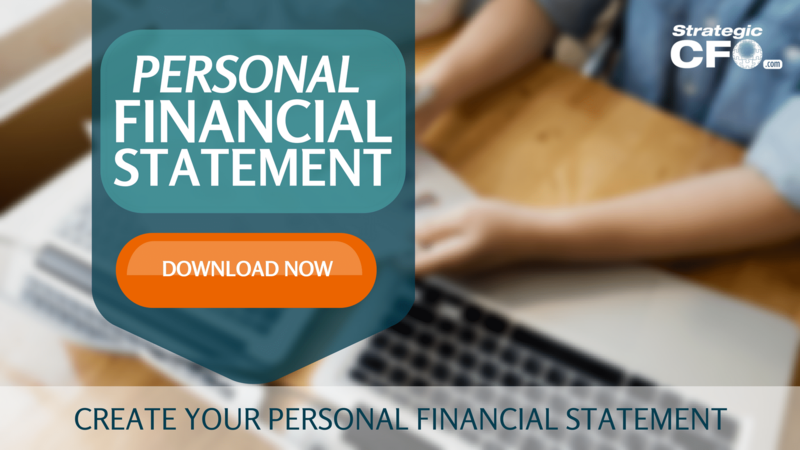 Access our Personal Financial Statement template to get started on seeing credit score improvement opportunities.